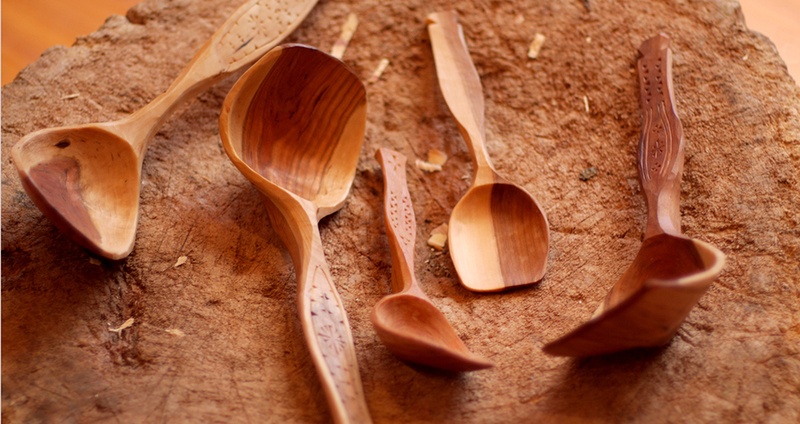 With a few simple tools and chunks of green branches no other woodworker would look at, you can make beautiful, useful spoons almost anywhere. Peter Follansbee shares his knowledge and enthusiasm. 127 minutes, Lie-Nielsen Toolworks Productions, 2015. 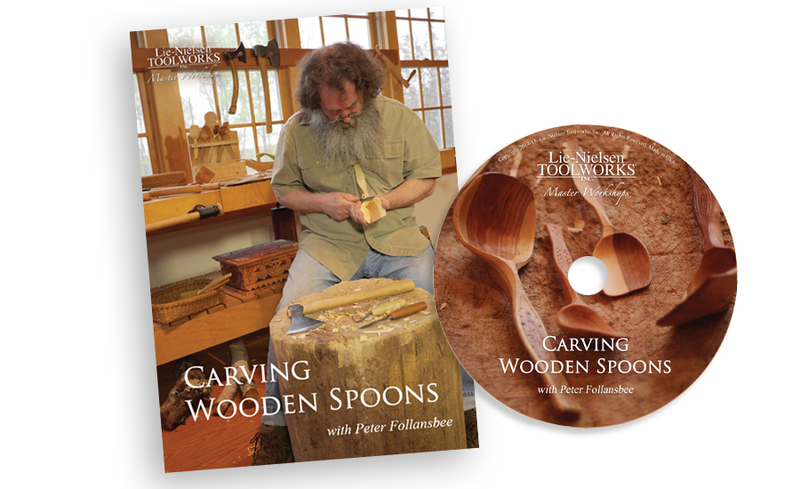 Peter Follansbee specializes in 17th century period joinery and green woodworking. 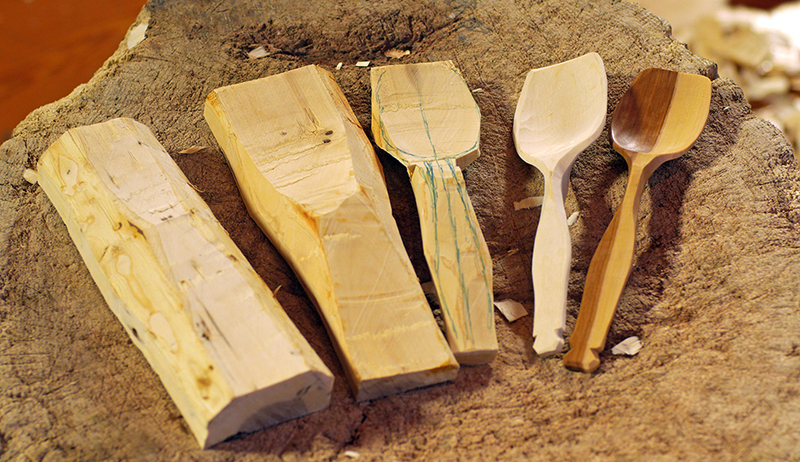 He spent over 20 years making reproductions furniture at Plimoth Plantation, the living history museum in Plymouth, Massachusetts. 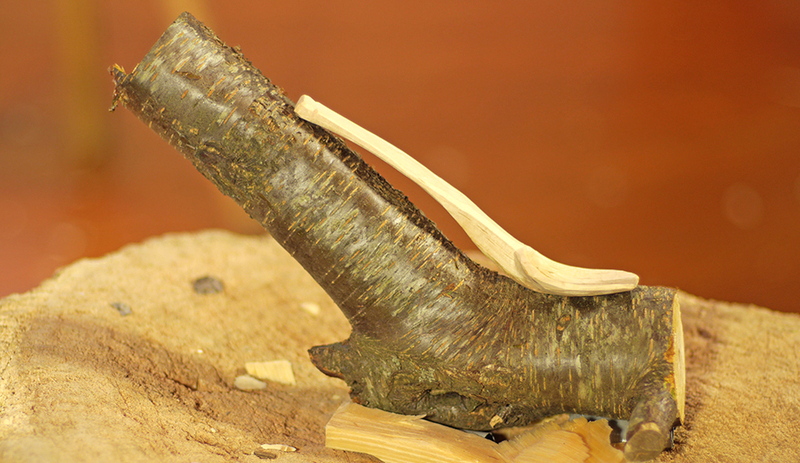 In addition to teaching the craft at schools around the USA, Peter co-authored the book, Make a Joint Stool from a Tree: An Introduction to 17th Century Joinery, with Jennie Alexander.